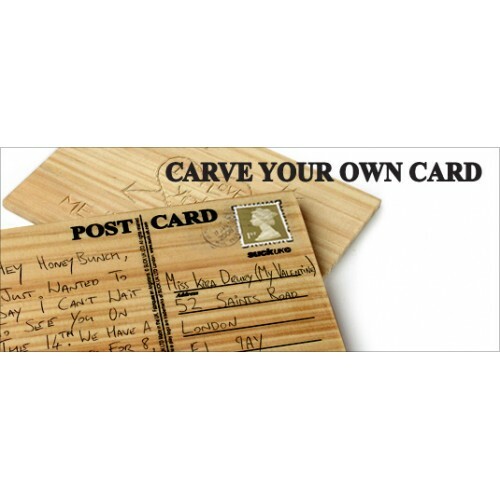 Wooden Postcard - Carve Your Own! Product Code: Get creative and send it to someone you love! 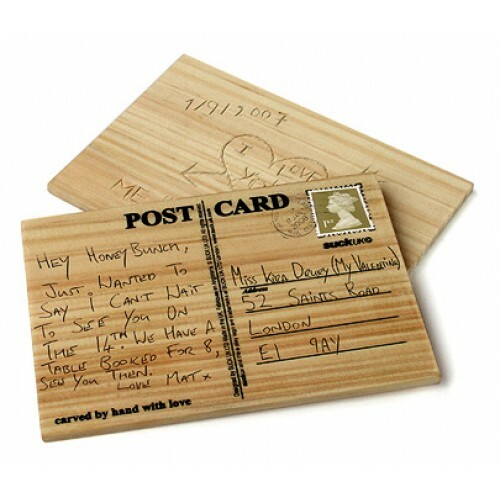 This wooden postcard comes blank for your own message. Made from soft, lightweight wood, it is easy to personalise. Just scratch your design (with keys or similar) into the card and mail it! Warning! Please scratch your message with care - we don't want you to hurt yourself.